It’s been a seriously long time since I last did one of these, so I guess we’re due another one, right? 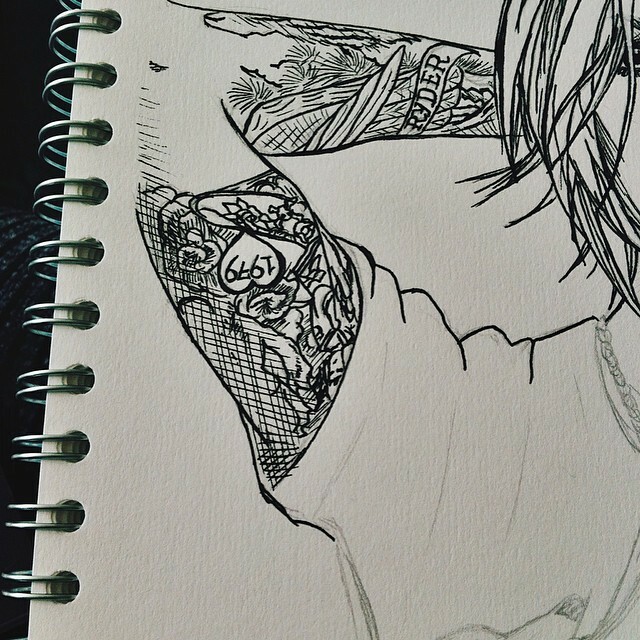 Recently, I’ve had a really strong urge to be creative again. It’s something that has been a bit absent since I started university three years ago, which is crazy when you think about it! Perhaps it was even before then, as A-Level workload can similarly bog you down and soak up your free time. I recently graduated in early September, and whilst I enjoyed my uni time, in hindsight, perhaps the course (English and Creative Writing) wasn’t quite for me. My writing definitely improved (I also write for a variety of music publications, check my portfolio), but there is no doubt that I felt a bit trapped. As much as I tried to kid myself otherwise, Cathy was a spoiled b***h and I am too much of a feminist to find Heathcliff’s personality anywhere near attractive (sorry). As soon as my last assignments were in, I felt liberated, and more recently, I’ve felt that creative spark creep back in to my chest and make my heart that bit more excited. As something I had begun to think had disappeared with childhood, it truly is a relief. 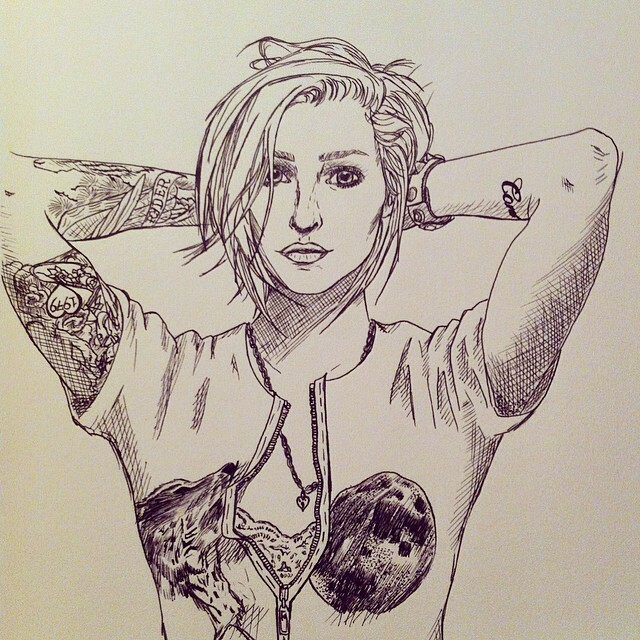 1// Brody Dalle (and drawing) – Drawing was my very first love! Before writing and before music, I genuinely cannot remember a time before I felt as if I could achieve something with a pen (cil or brush) in my hand. Below is my drawing of the stunning Brody Dalle (former This Distillers/ Spinnerette, now solo artist and Mrs Josh Homme) on her cover shoot for The Girls Are magazine, who I also write for). The mag is female exclusive and showcases some amazing big name and indie artists, be sure to check them out. 2// LIGHTS – Of course, I now need another subject to draw, and I’m pinning my hopes on this photo of Lights. It would look awesome on a canvas in acrylics or oil. I have a soft spot for Lights’ music. Remember when you had obsessions with bands when you were in high school? Well, she was perhaps my very last one. I find it so interesting to keep up with those bands/artists you loved into adulthood. Whereas once you put them on some weird pedestal, over time they just seem more and more normal (well, most do). Where will we all be in ten years time, eh? LIGHTS – Speeding – ‘Speeding’ is probably my favourite song off her new album Little Machines. 3// Hey Claire// – Also, how awesome is Claire Marshall at editing YouTube vids? She makes the most mundane thing look interesting! 4// Game Of Thrones// – I’ve madly “gotten into” Game Of Thrones, so much so that my graduation present to myself was the DVD boxset and the book boxset. Evidently, I roll hard. It’s really one of those series where – despite much of the drama being in conversation – it really grips hard. And when the battles occur, HBO have made sure they are Helm’s Deep good! Also, this guy is the biggest Mummy’s boy, I mean, are there even three dragons? Also, is this hair socially acceptable? Culture writer and dot work illustrator.